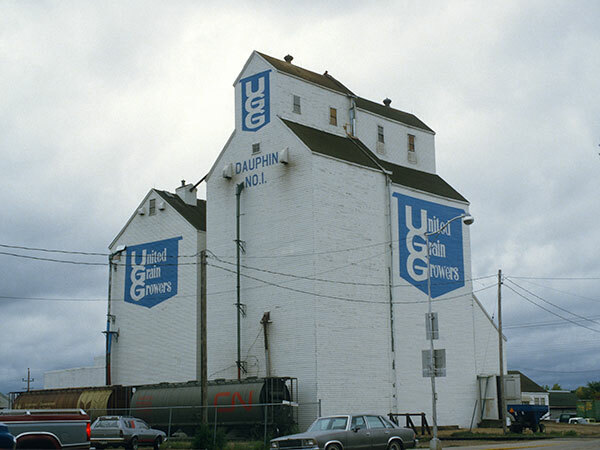 A grain elevator at Dauphin, on the CNR Gladstone Subdivision, was operated by United Grain Growers since around 1918. 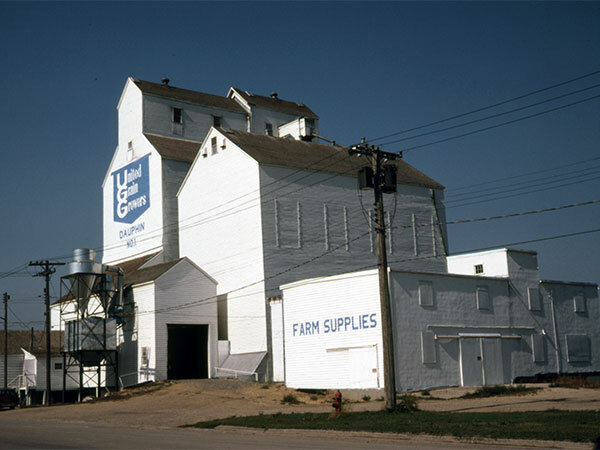 Source: Everitt Collection, S. J. McKee Archives, Brandon University, JCE-0518. 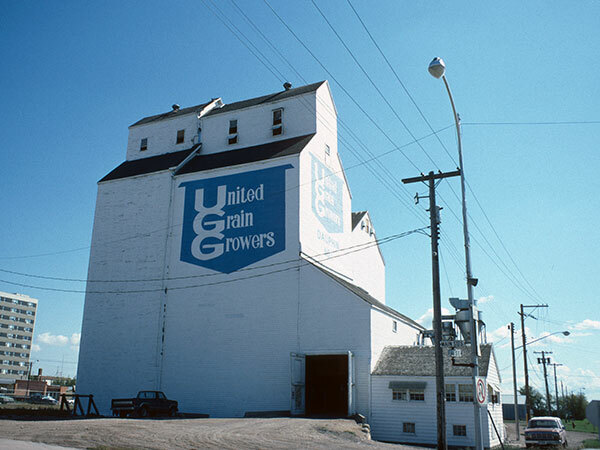 Source: Everitt Collection, S. J. McKee Archives, Brandon University, JCE-0507. Dauphin Valley Spans the Years by Dauphin Historical Society, 1970, pages 213-214.